Enjoy British Columbia’s pristine beauty at this postcard-pretty resort. Tackle the mountains on your skis in the winter and your mountain bike in the summer. 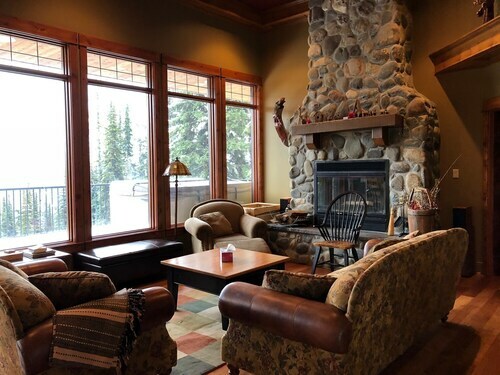 Bring the family to Silver Star Mountain Resort and find spectacular beauty, plentiful activities and friendly faces. Silver Star is one of the largest winter ski resorts and summer mountain biking parks in British Columbia, which is known for glorious great outdoor activities. 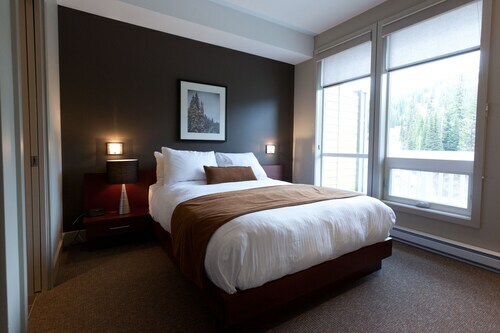 Notice the compact layout, just one reason parents bring their kids to Silver Star. Twelve lifts take you around Silver Star, which features 3,282 acres (1,328 hectares) of snow terrain with 130 runs and 3 wonder carpets for the kids. The resort is a good place to improve your skills and build confidence gliding on the snow and maintaining speed moving downhill. The ski school here is especially renowned for the quality of its instructors and methods. Look for excitement on the 1,900 acres (770 hectares) of Putnam Creek, on the back side of Silver Star Mountain, for more advanced runs. For an extra challenge, head to Rockstar Terrain Park to learn snowboard tricks and hone your skills with jumps, boxes, rails and aerial features. 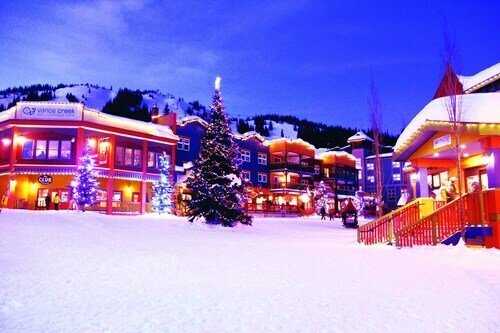 Silver Star Mountain Resort receives an average of 275 inches (7 meters) of snowfall every year. In the colder months, skate on the frozen pond and enjoy tubing, snowmobiles, sleigh rides and bowling, too. In the summer, appreciate the pristine natural environment on foot or two wheels, on over 53 miles (85 kilometers) of mountain biking terrain. Hike across the slopes through fields of wildflowers or soar over the valley on the Scenic Summit SkyChair. Pick up an all-inclusive Silver Star Mountain Resort My1Pass which provides access to seven mountain activities. There’s no need to drive because everything you need is within walking distance in this cozy community. The resort’s village has ski-in, ski-out access and a quaint fairytale quality, with cute colorful buildings lining the snowy streets. 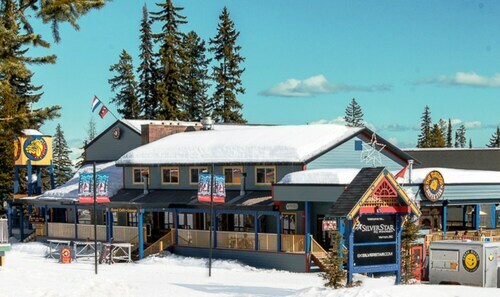 Find Silver Star Mountain Resort 14 miles (22 kilometers) from the city of Vernon, in the Shuswap Highland of the Monashee Mountains. Fly into Kelowna International Airport, about an hour’s drive away. Nice property as a whole and staff are very friendly and helpful. Parking is at a premium for sure. 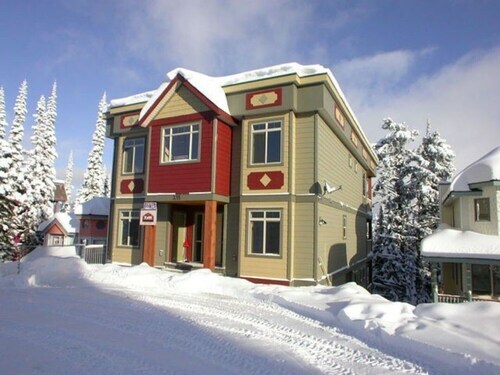 Situated in Silver Star Mountain, this condo building is 0.4 mi (0.7 km) from Silver Star Mountain Resort and within 16 mi (25 km) of Village Green Centre and Polson Park. Hillview Golf and SunValley Speedway are also within 25 mi (40 km). 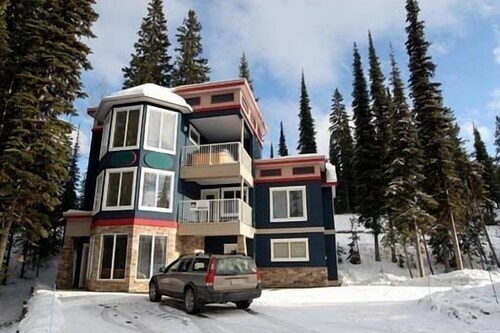 Located in North Okanagan D, this vacation home is 0.2 mi (0.4 km) from Silver Star Mountain Resort and within 16 mi (25 km) of Village Green Centre and Polson Park. Hillview Golf and SunValley Speedway are also within 25 mi (40 km). Executive 4 Bedroom Home With a Private den Best Location! Loved the house. Lots of room for the whole family.